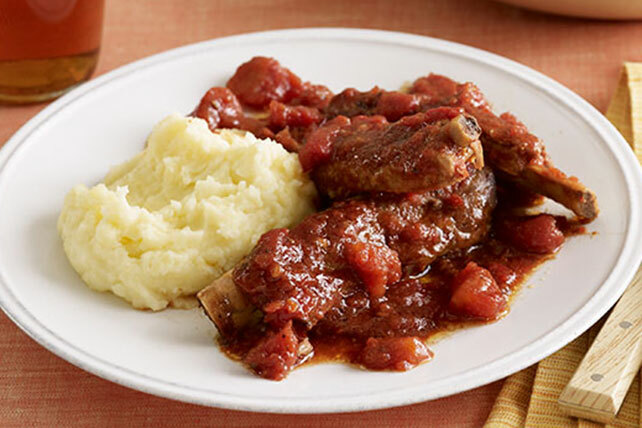 Once again, the slow cooker works its magic—this time, in an easy-to-prepare pork spareribs dish made with a garlicky tomato sauce. Place ribs in slow cooker. Add tomatoes, dressing, soy sauce and garlic powder; cover with lid. Cook on LOW 6 to 8 hours (or on HIGH 4 hours). Skim and discard fat from top of sauce before serving. Serve with hot cooked mashed potatoes or rice along with a green salad tossed with your favorite Kraft Dressing. Add 1 Tbsp. grated gingerroot along with the tomatoes.